We are a family-owned dumpster rental service dedicated to your total satisfaction. Offering service in the Carol Stream, Aurora, Elgin, IL & surrounding towns. 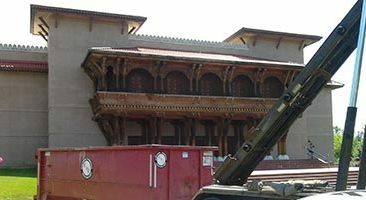 E & J Disposal Company specializes in contractor, homeowner and business dumpster rentals. 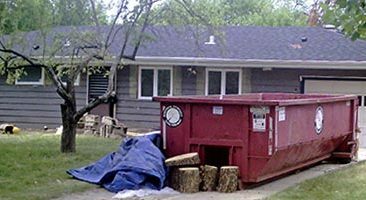 From small home remodeling projects to large-scale construction projects, we provide dumpster rental services for commercial and residential properties from start to finish. 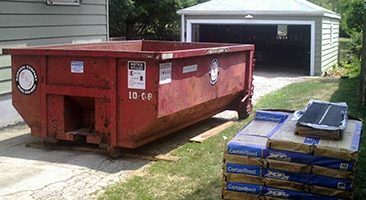 Rent a dumpster for any home cleanout, remodeling project, or for hauling away landscaping debris. Reliable and timely dumpster delivery for commercial projects and general contractors in the Chicagoland area. Extra-large roll off container rental sizes for home builders and construction sites. We are a family-owned dumpster rental company located in Carol Stream, Illinois. 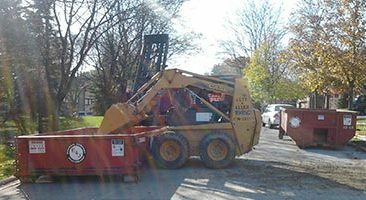 Since 2000, we've helped thousands of contactors, homeowners and businesses in Carol Stream, Aurora, Elgin, IL and surrounding Western Chicago suburbs finish their job on-time and on-budget with our dumpster rental services. I am probably on my 7th dumpster now... excellent service and pricing. Thank you E&J! I had a pipe freeze and burst during the polar vortex Jan 2019. I called E&J and they had one there within 90 minutes. I had nothing but the best experience with them from start to finish. I highly recommend their services. They delivered it on time and picked up promptly... we didn't have any problems and I would do this with them again. E&J Disposal came within a couple days... their price was competitive and the service was excellent. They were professional-quick in, quick out. They did everything I asked.